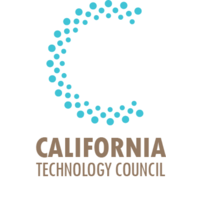 Join the Smart Cities Council and the California Technology Council for First Pitch located at Smart Cities Week: San Diego! Be a part of the audience as leaders of California-based start-ups, who are developing the next wave of disruptive smart city technologies, deliver brief pitches about their innovative solutions. Funders will join Smart Cities Week attendees in the audience to identify potential new investment opportunities. Investors and experts from a range of industries will serve as judges and will evaluate the startups based on viability, applicability to a wide range of cities, contributions towards the quality of life, sustainability, and economic development, and more. One startup will be selected as the winner and announced at the close of First Pitch. There is no charge at attending First Pitch for Smart Cities Week for full conference attendees, but registration is required (single day registration is available for those wishing to come only for this event).